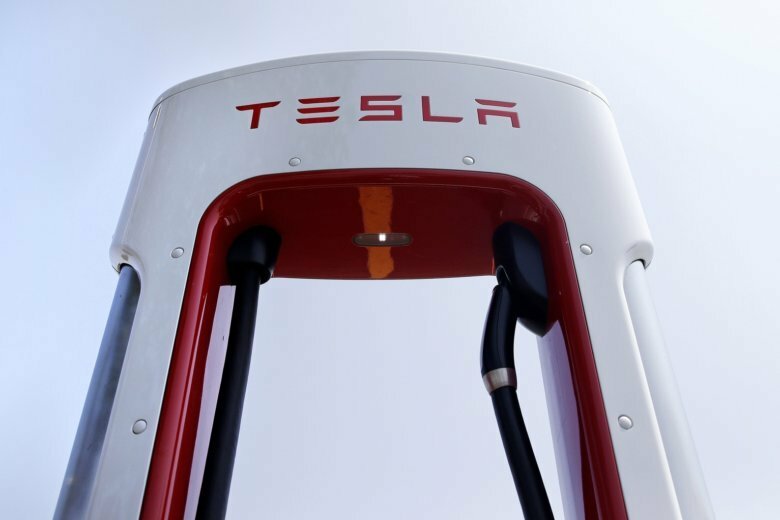 NEW YORK (AP) — Tesla made its biggest gain in five years Monday after company founder Elon Musk reached a settlement with securities regulators that will allow him to stay on as CEO of the electric car maker. That marked a big reversal from Friday’s plunge, the worst day for the stock in almost as long. Under a settlement announced Saturday, Musk will give up his post as Tesla’s chairman for at least three years. Musk and Tesla will each pay $20 million to resolve the case, making Musk’s August tweet that he would take the company private and had “funding secured” for the deal likely the most expensive social media post of all time. The Securities and Exchange Commission filed a lawsuit Thursday that said the tweet constituted securities fraud because Musk knew he hadn’t lined up the money for such a deal. Tesla stock rose 17.3 percent to $310.70 after a 14 percent plunge on Friday, which left it slightly higher than it finished Thursday. As part of the settlement, Tesla will name two new, independent directors to its board. Critics, including some investors, had pushed for similar changes recently, arguing that a new chairman and a board less tied to Musk would be good for Tesla and its investors. Some have argued Musk should even give up the CEO role and assume a post such as chief technical officer. The SEC said it wanted to bar Musk from serving as an officer or director of a publicly traded company, a scary option for investors who felt Musk was nearly synonymous with Tesla and that another executive would have trouble managing Tesla’s manufacturing challenges and keeping the public satisfied in spite of Tesla’s substantial debts.